With a built-in photocell, this black transformer is perfect for landscape lighting. 6 1/2" wide x 2 3/4" high x 3 1/2" deep. Cord is 69 1/2" long. Black finish housing, cord, and plug. Previously purchased in 2016, recently damaged by contractor. We have used this product before works well. Simple and just over the needed watts needed for the project. The first one broke. Hopefully the second one is better. The housing could be more durable. Owned at my last house. Works well. I did purchase 18 gauge wire elsewhere this time though due to the 16 being hard to connect to the screws on the transformer. Screws don't open enough to get the wire to secure well. Had an issue with the wire coming loose at my last house with the 16 gauge wire. Replacements for Aquascape units at a much better price! Just purchased a set of 6 low voltage landscape lights at .5 watts each for a total of 3 watts. 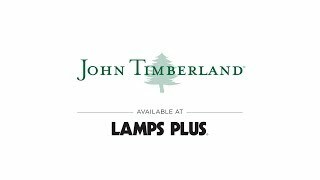 Your John Timberland 45 watt transformer calls for a minimum of 5 watts. Can I use this transformer or can you recommend another option? BEST ANSWER: Yes, the minimum load is 5 watts. 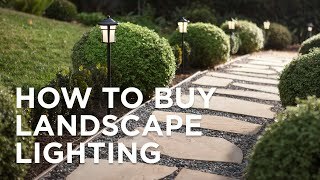 Please check with the manufacturer or spec sheet of your landscape set you purchased and confirm it each light uses 5 watts each or .50 watts each. If you have purchased the set from Lamps Plus, please contact our Customer Service Department for assistance. How do you set the transformer to full on mode? BEST ANSWER: Hi - The "full mode" is the same as "auto" mode which is the dusk-to-dawn setting. You then have a 4H, 6H and 8H setting as well. How many lights on one transformer? BEST ANSWER: It depends how many watts there are for each light you plan on using. This is a 45 watt transformer. What distance do the lights have to be? 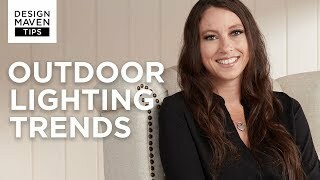 BEST ANSWER: It is generally your choice of spacing your lights (spot light, path light, etc) as you see where they are needed. Do you have to connected 2 wires to this besides the plug into the electrical socket? BEST ANSWER: Hi Carol - I have emailed you a copy of the transformer instructions. Yes, you need to connect your lights, fountain or what ever in order to complete the circuit. I have three of these, one for the front lights, on for four hours, one for my flag, on dusk to dawn and one for the back lights. They are very easy ti install! John Timberland 45 Watt Landscape Transformer with Photocell - Style # 2N754 : Is output 12V DC or AC? Ccan the unit be used to 12 gauge wire? BEST ANSWER: The transformer can be used with 12 gauge wire. How is conn. made at the fixture? Does fixture have a whip or is a cable clamb needed? BEST ANSWER: Typically, a main wire would extend from this transformer and each of your landscape lights would attach to this main wire. Hard to see on this image, but there are screw terminals on this to connect your main supply wire that will feed the individual lights. Each fixture will have a 12-18" pigtail to tie into the main line. How long is the AC cord for the Timberland 45 Watt Landscape transformer? BEST ANSWER: Hi - the length of the cord is 69 1/2-inches. Yes please, where do I get the replacement surmergeable lighting for my existing fountain to go with this transformer? Some transformers say they are designed NOT to buzz or hum. Does this one tend to buzz or hum? BEST ANSWER: No. Very quiet. Can this transformer be used with 18 gauge low voltage landscape cable 75 feet, maximum wattage of lights installed will be 19.2 watts? BEST ANSWER: This transformer would be perfect for your application. It can indeed be used with an 18 gauge wire and the transformer has a max wattage rating of 45W. I used 16 gage wire but 18 would work. I have 6 of the lights. The only issue is the attachment of the wire to the transformer. The screws do not open up enough for the 16 gage wire. 18 gage may work. Be sure that you have a drop cloth under the transformer when you attach the wire. If you drop the screws in the dirt or grass, tough luck finding them. Can't answer your question directly as I used 16AWG wire - the one sold with this transformer, similar length and load. With this set-up (i.e. 16 ga. & transformer), it works like a champ! Especially like the on-at-dusk then off at desired limit (4 hr., 6 hr. or dawn). The transformer failed after first day of use. They are sending me another.. Customer Service was amazing! Absolutely the best! Just what I wanted, easy to install, and is working great. Delivery was quick for living in the middle of know where I live. Works perfectly and was delivered fast. Very reliable. It’s three levels above your average transformers. It’s worth buying in my book. The Timberland 45 Watt Transformer in general is well built. I had to try 3 different ones to get one to work properly. There seems to be an issue with the electronic interface between the timer and the photo cell. It wouldn't respond to the desired control setting. The last on I received, (Lamps Plus was very responsive in replacing the two previous units) is working properly after 3 weeks of usage. Yes I would recommend the Transformer.